Yep, that's ordinary spackle. You can see the rocks I made with it a couple of posts above (Ghartok's Tusks). 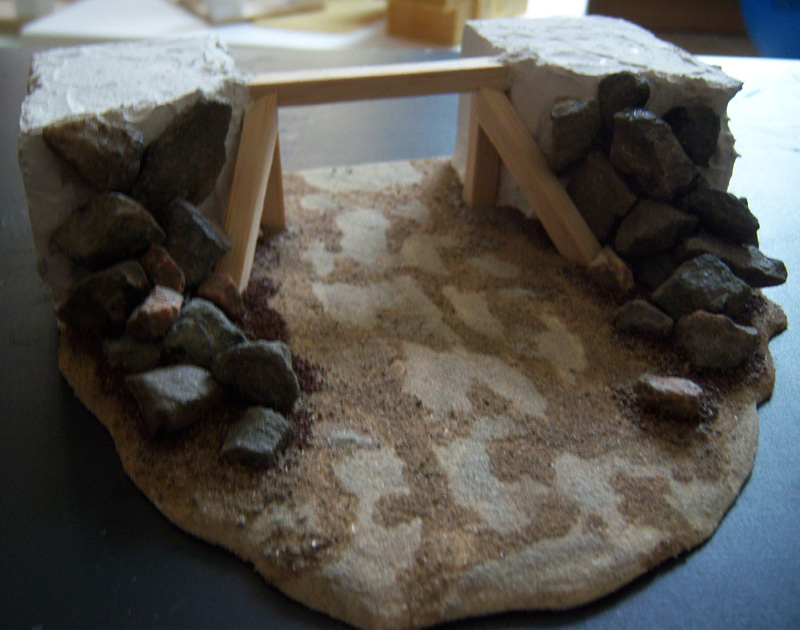 I bought a special rock spackle for scenery creation from Ziterdes and that didn't quite work - it had lots of small balls in it so I went back to using ordinary spackle instead. I think it works quite well while also being cheap. I'll think about your wooden bar suggestion. Thanks for that! That looks awesome Cianty. I love how you took the time to mark where the barrow and statues were so you could do the ground with different textures. It came out great! I LOVE watching your pieces evolve from the basic idea to the finished Master Piece. It proves to be both instructional & inspiring. YOU'RE THE BEST! I'm REALLY looking forward the the GRAND UNVEILING in the Gallery. Times being what they are, it's GOOD to have something to look forward to . 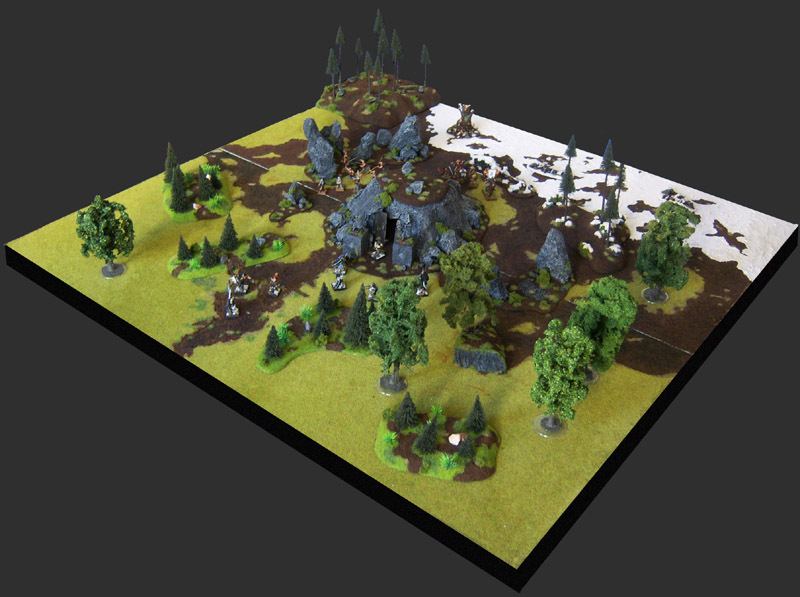 A GREAT LOOKING gaming board with SO MANYreally cool possibities; you've created something Very Special. WELL DONE! It has been such a pleasure following the progress of this board; YOU'VE GOT TO DO ANOTHER, please! Fantastic! That is a beautiful addition to a beautiful board! Great work. Thanks everybody! Your kind words are a huge motivation! Thanks a lot! Oh, I'm not done yet. 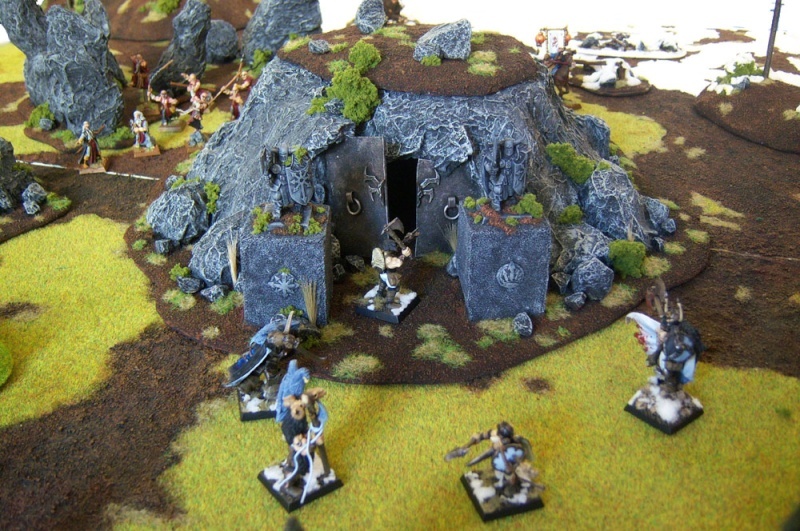 The tomb is the centre-piece of one of the BTB special scenarios but I'm not done with my BTB gaming table yet. 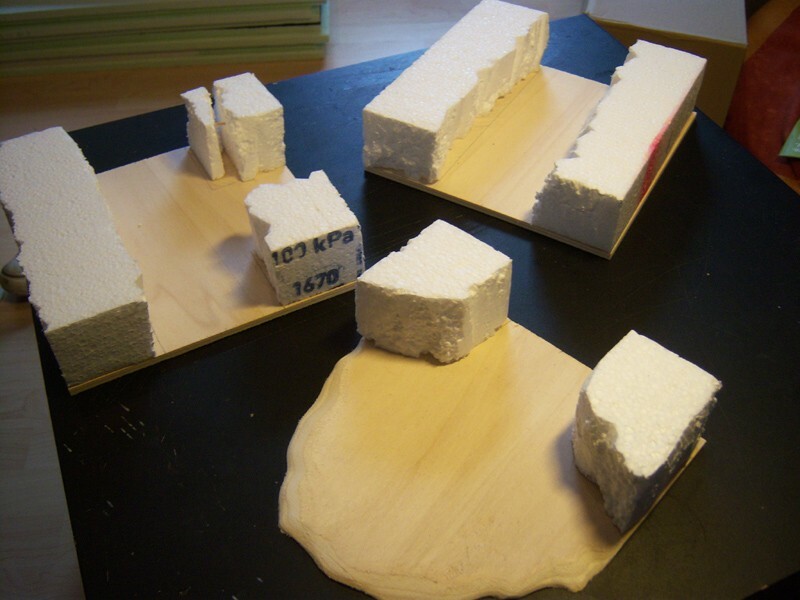 In fact, there are some bigger pieces in the making. I have already begun posting the humble beginnings in this thread and that's where I will continue so watch out for some updates in that thread soon. Yes, I did hold that back. 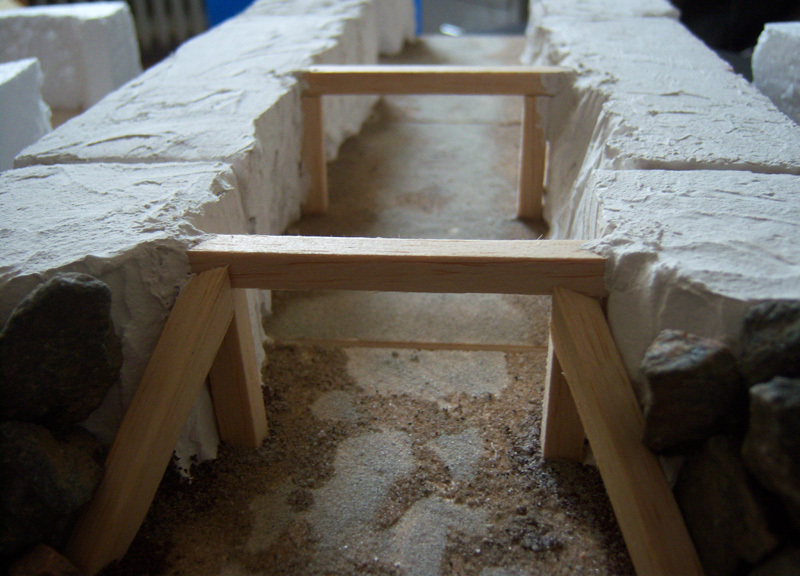 The inside is finished but first I want to paint a few scenic components that will be placed in there. When that is done I will post the pictures here, of course. YES! Something else to live for! OH BABY! Somehow I missed this post on it being finished. I am quite impressed. This is excellent..
That scenery is just unreal. Excellent work! Again, your work comes off looking very professional. Those of you who had a look at the scenarios from the BTB supplement (released in BTB Part 2) will know what these are for. I don't want to be using the printed paper sheet templates so I decided to make proper dungeon tiles, however based on the original tiles, of course. 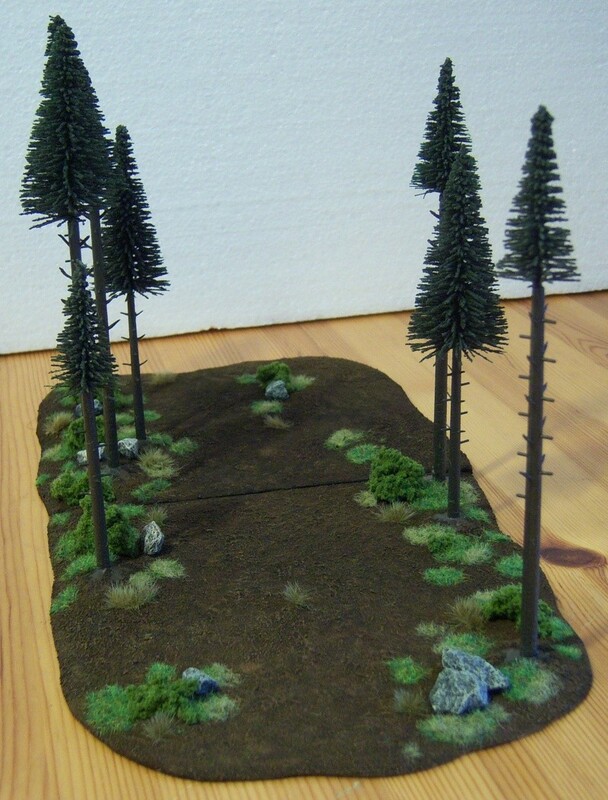 This is a slow start, but with my GT entry done I can now focus on scenery again so chances are that you will see some updates here again soon. The tiles are made of 8" x 8" wooden plates from a DIY store and styrofoam for the walls. 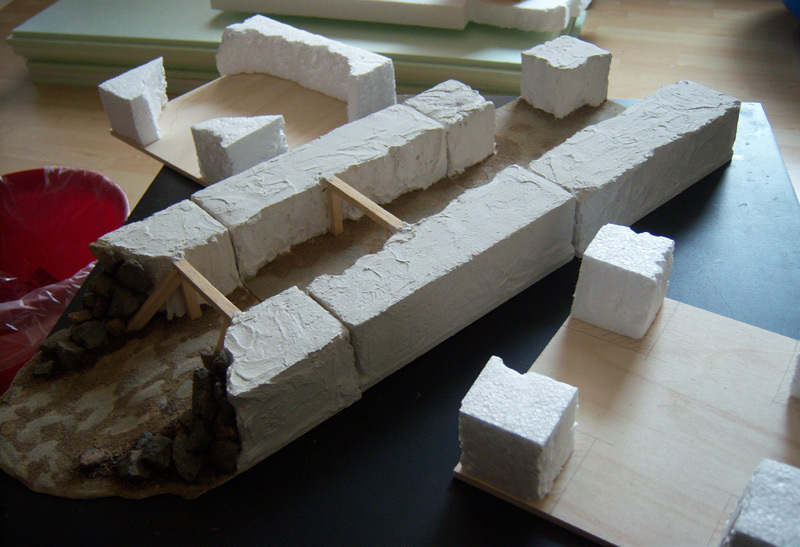 Next up: applying spackle to model the stone walls. 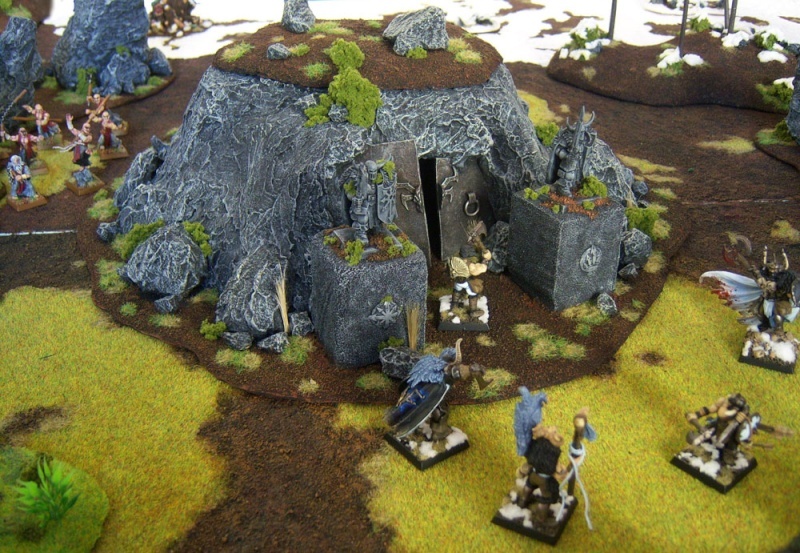 I really like that you not only write the rules for BTB but also build scenery. It would be nice to play on the table like that! 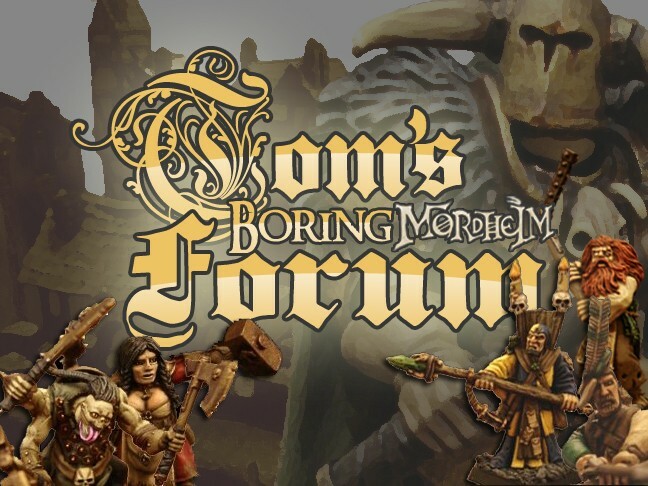 Well, this is a hobby and, personally, I think that those who are writing rules but lack the miniatures and scenery to actually use their own rules themselves can hardly be taken seriously. I've often wondered how many of those collection screwing rules would have gotten through, if they had negatively impacted the lovingly painted & often expensive minis of the rules designers . AND the Dungeon tiles look both WONDERFULLY crafted & possessing TREMENDOUS gamong potentionial ANOTHER superlative job of maintaining your position as my hero ! 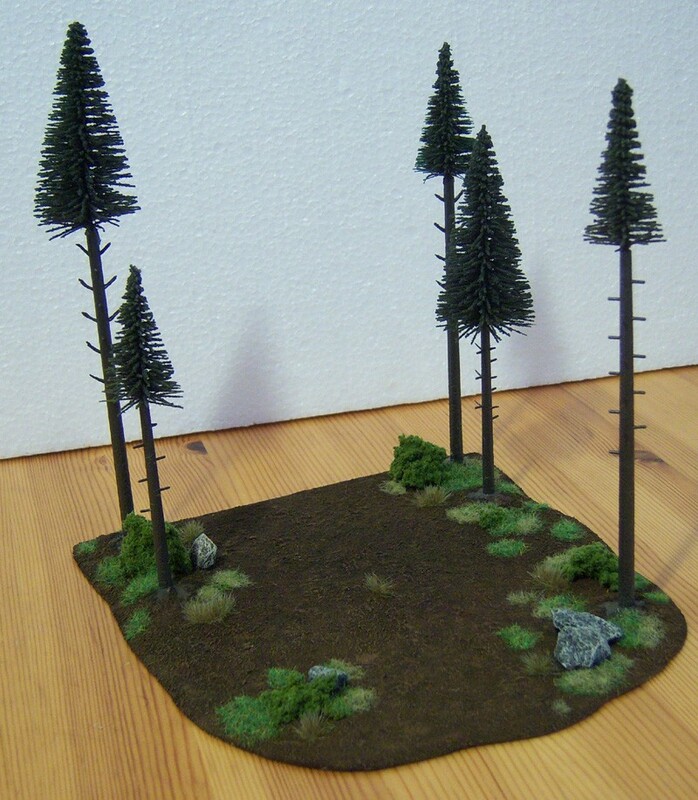 I made two sort of forest sections for the Tainted Copse scenario from the Border Town Burning supplement.  They represent the path endings from where the warbands start and through which they have to leave the table (on the opposite side), hence the straight edges, as they are placed on the table edges. 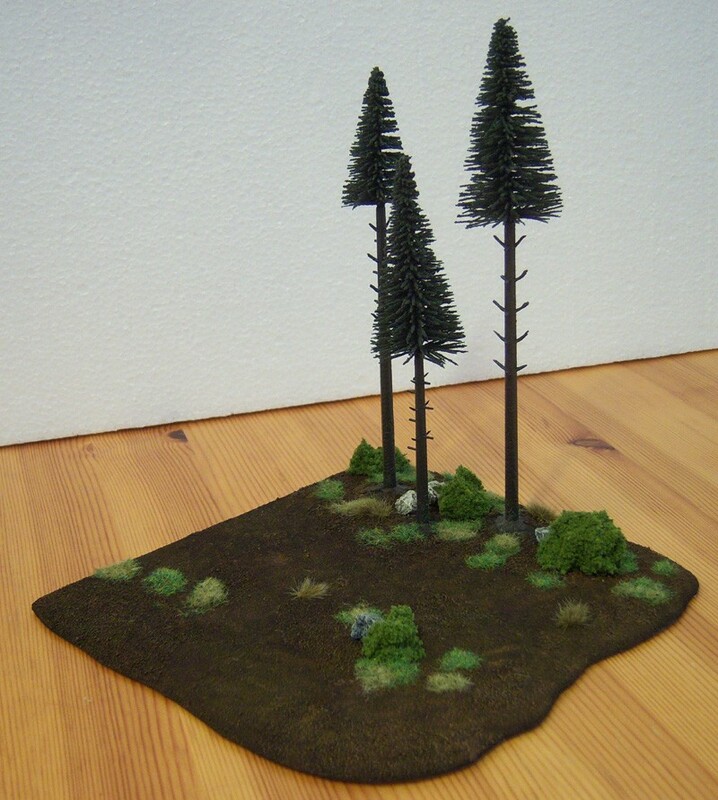 The pieces are made from plywood with sand, stones and Ziterdes trees glued onto them. I speed-built the pieces on 2nd and 3rd of October because they had to be finished for a battle report we wanted to do for installment 4 of the BTB supplement. They came out quite okay, I think. 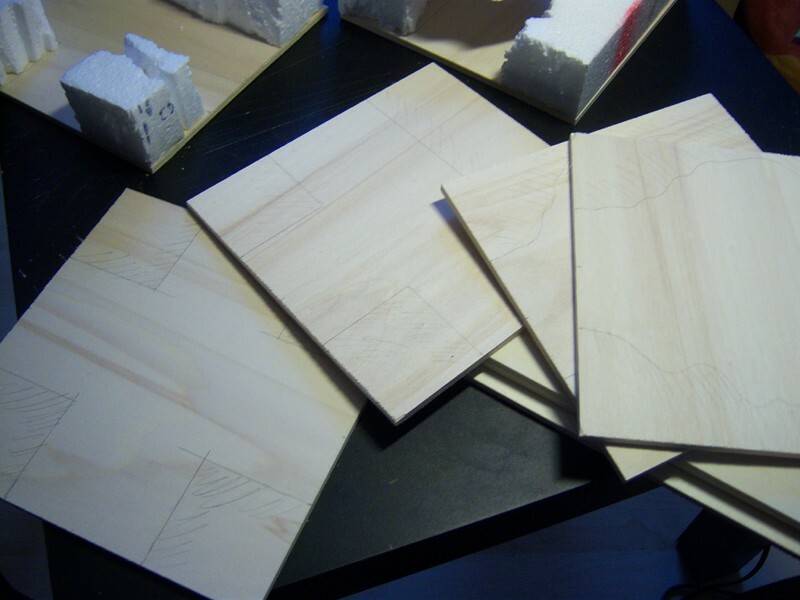 To increase their gaming use potential I made sure that the straight edges of the pieces were of equal length so that they can be combined and then placed anywhere on the board as a usual scenery piece. 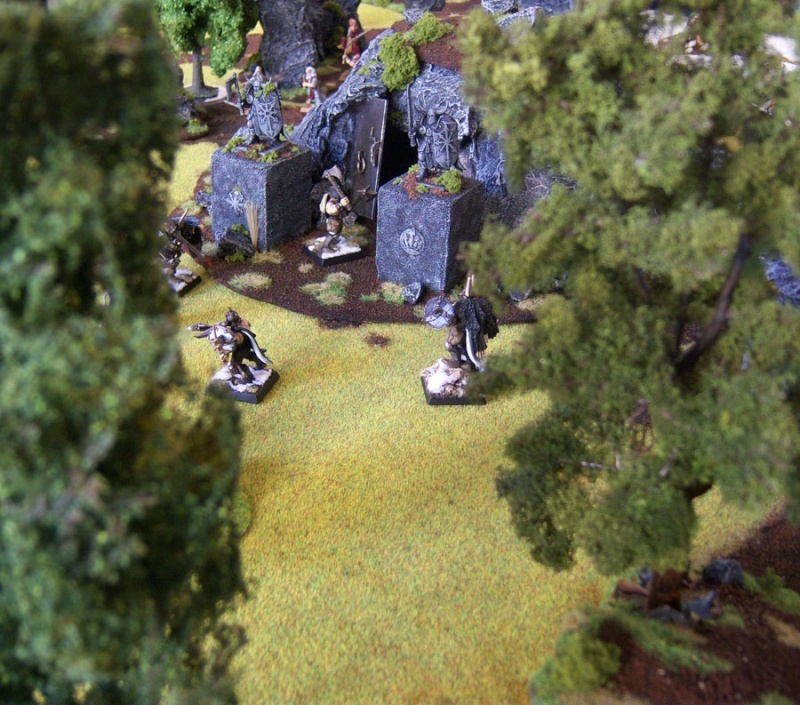 For more photos of the pieces in action you'll have to wait until next Sunday, when BTB Part 4 is released. Sweet. I love the choice of tall, spare trees. Really goes with your setting. And I'm also all about versatility. 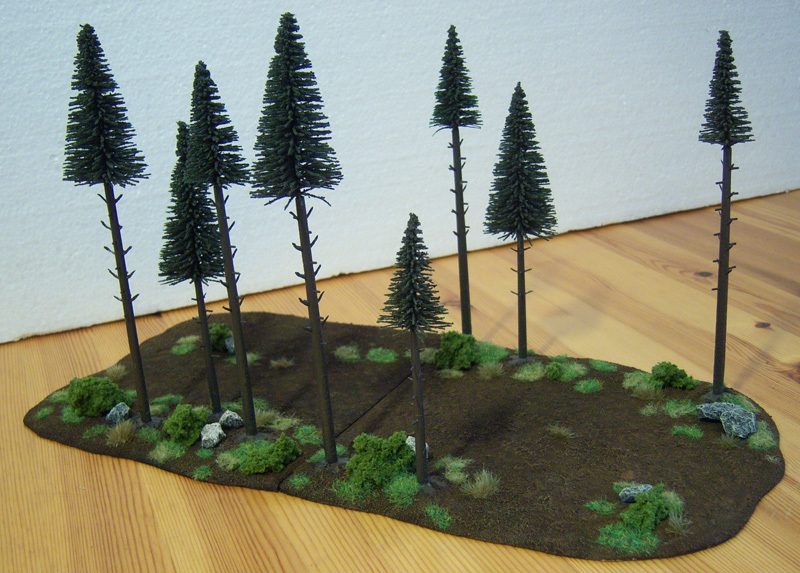 That these can be used for a specific purpose or as general "forrest" terrain is awesome. 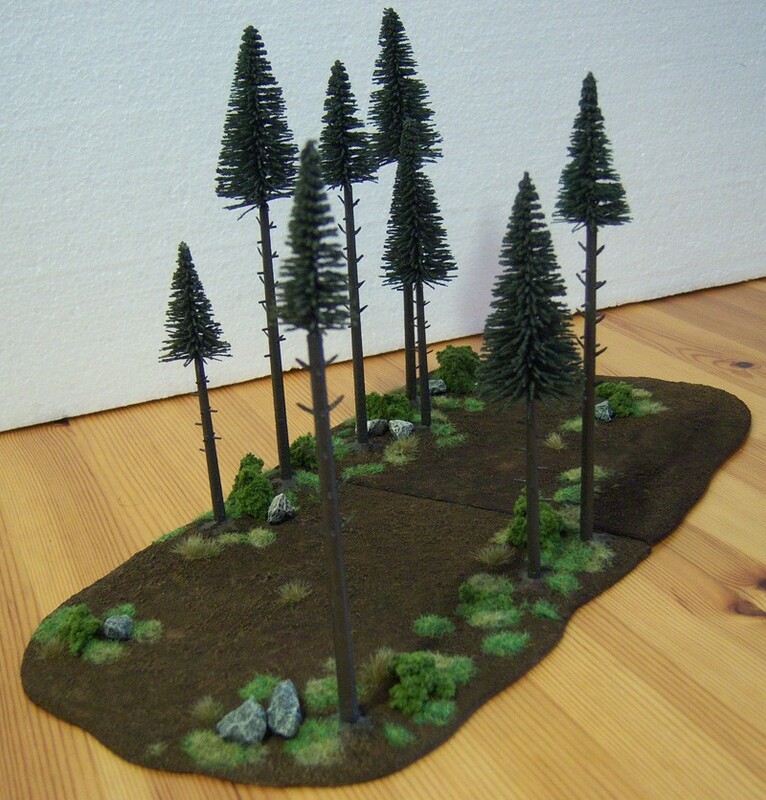 Your imagination is absolutely limitless And your terrain skills are just as awesome. Great work. I'm going to have to make those tunnel tiles now. I've been looking at this chunk of foam trying to figure out what to do with it - this would be perfect. Great work. How did you get the squares cut to the perfect size? did you have the store do it? The forest floor & the varying shades of flora ARE perfect. You can almost hear the fallen needles crunching under foot, & smell the scents of rich, loamy soil mingling with that of the evergreen sap. A VERY nice addition to the table. WELL DONE AS ALWAYS! 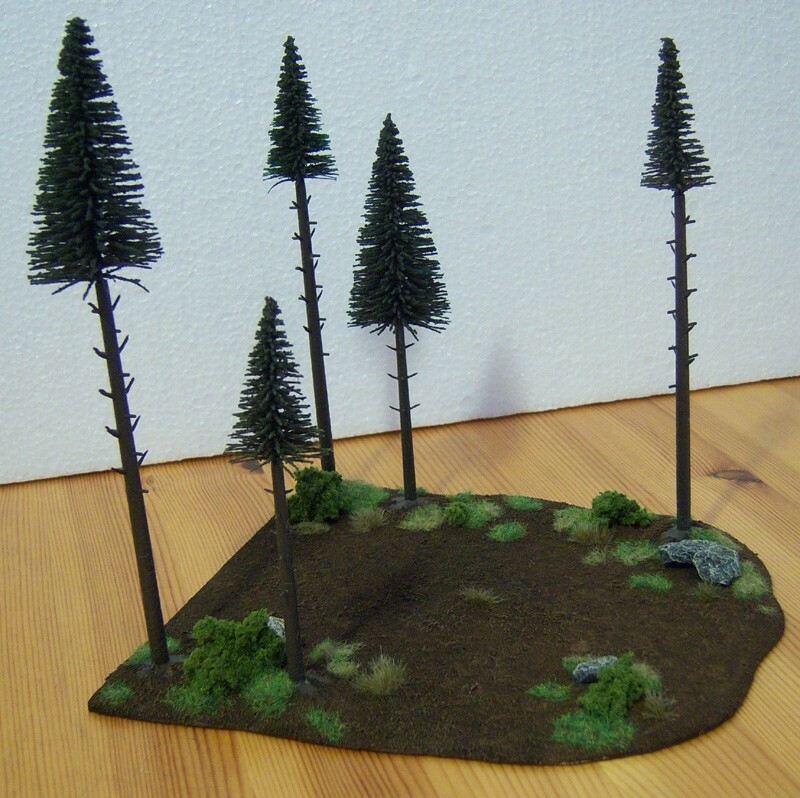 Did you use references to figure out how to represent this kind of ecosystem? 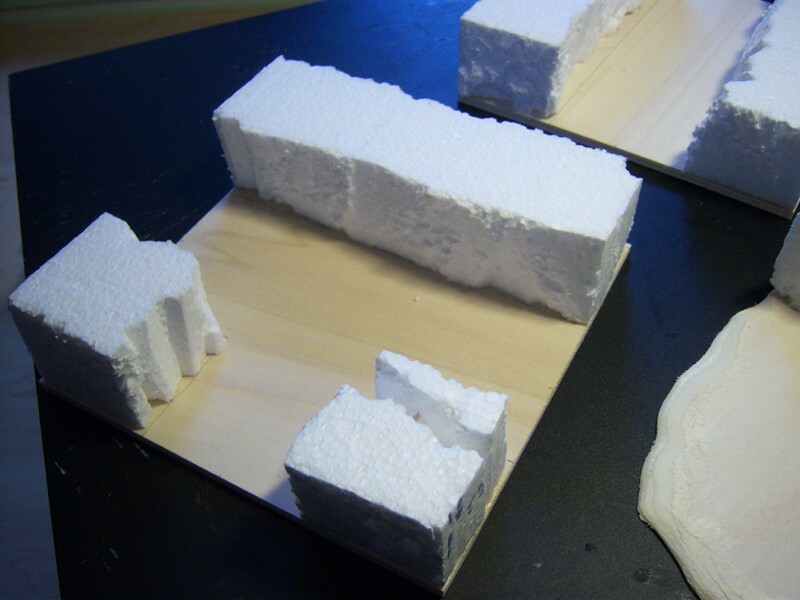 I bought a huge 5cm styrofoam plate and then cut the required pieces with a box knife. I'll post more pics of the tunnels this evening or tomorrow. As promised some shots of my tunnels. I had to go walking through the park to get the stones for the entrance tile. 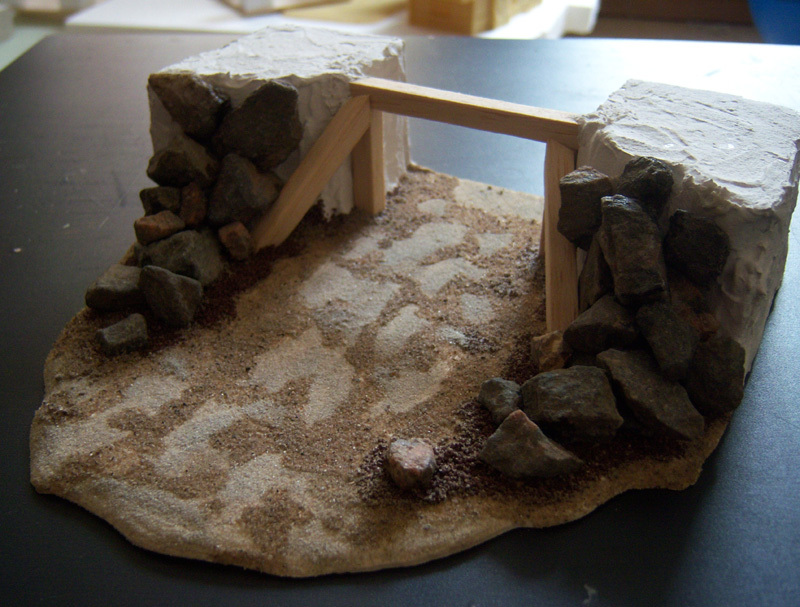 As you can see I used three types of sand for the entrance: rough one for the rubble, fine one for where the miners go and "normal" sand (from a near playground) for the rest. 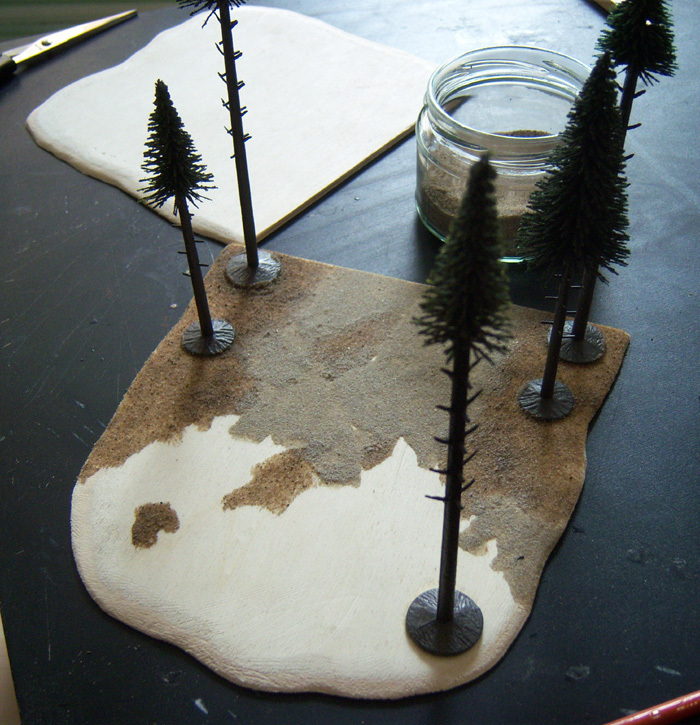 Before I do more tiles I'll probably start painting these first.